Image 11 in. x 15 in. 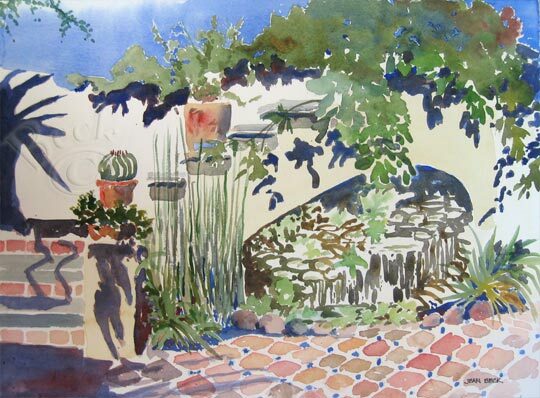 friends I still paint with, almost every week, was here at Tohono Chul. out of a tree very close to me and into the low walled garden. Docents said it had choked on a bird and never moved again.